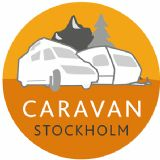 At Caravan Stockholm you'll find the resellers for campers, caravans and equipment for camping. Here you can compare models, ask the experts for advice before you buy and become inspired. Caravan Stockholm is the convinient and most time-effective place to make a new purchase and discover the latest trends!